The No. 3817 Automated Digital Hardness Testing System provides durable, precise results for even the most demanding applications. Capable of measuring all Rockwell, Rockwell Superficial, Vickers* and Brinell* Scales, it meets or exceeds all major industry standards requirements, offering unsurpassed accuracy, reliability and overall performance. Easy-to-use and exceptionally precise, this full-featured system offers one-touch automated testing with minimal operator involvement. Overall, the No. 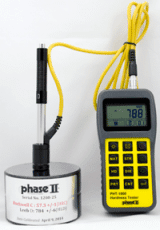 3817 is the ultimate hardness testing solution. *Requires separate equipment to measure across indent. CCD camera and software vision system available in our store. 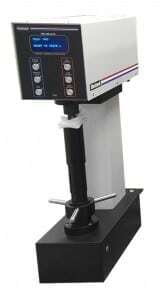 The accuracy and the consistency of the STE hardness tester is due to the original principle of the loading system. 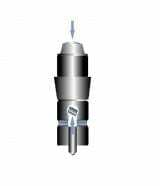 The applied force causes penetration of the indenter into the surface with a load determinated by the calibrated pin, which breaks at 1580 kp. The value of Brinell hardness is obtained by reading the diameter of indentation on readout charts which assure proper correlation between load applied and impression diameter, and are provided with each bag of pins. 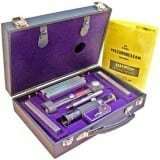 The Telebrineller system is a major achievement in quality assurance. 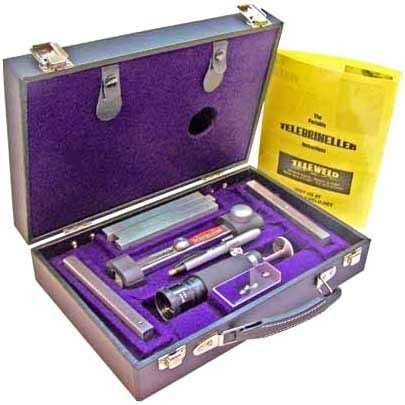 Developed for use by it’s own welding crews in the field, Teleweld has based this system on proven metallurgical knowledge supported by more than fifty years of field experience. The Halteman Filletester is designed for the Brinell Hardness testing of fillet welds and other hard to reach areas. 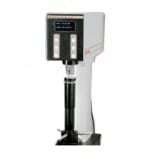 State of the art, digital portable hardness tester is designed to test the hardness of large hard metal parts. Loaded with useful functions only found on high priced models the PHT-1800 portable hardness tester is clearly setting a new industry standard by being the most accurate, economically priced portable hardness tester on the market today. Fast test speeds coupled with memory and output, this unit is a hand’s down winner whether you are out in the field or in the QC shop.